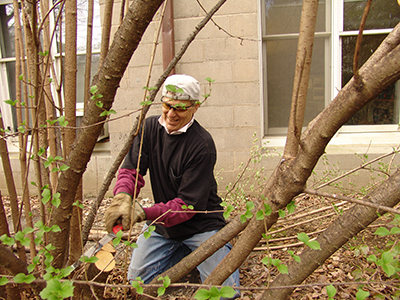 In Renovating a Garden Part I, we learned a variety of techniques and viewpoints to manage an older, overgrown landscape. Now in Part II, we’ll delve deeper into what plants can be renovated, and how. Rejuvenation pruning, hard pruning, dividing, transplanting techniques and more will be discussed with an extensive plant list that likely includes some of the older plants that are currently languishing in your garden. Join Elizabeth Haegele, owner of Fine Garden Creations, to uncover the secrets to bringing older plants back to life. There will be time at the end of class for questions and answers to help inspire you to make some exciting changes to your garden. Limit 40. Please call 610-328-8025 to register.